Ergen didn’t elaborate on his remarks, but did mention that a tie-up with Sprint, a company he attempted to acquire a few months ago may be “an interesting fit.” Ergen didn’t account for how any deal with Sprint would work now that SoftBank owns a majority share of the Kansas City-based wireless carrier. The reality is that Dish has already approached Deutsche Telekom in the past so I’m not sure exactly what “challenges” outside of potential technology related issues Ergen could be referring to. However, Dish remains one of the largest independent standing entities that could be in the running for a T-Mobile deal, merger or otherwise. Will Dish approach Deutsche Telekom one more time? Investors sure think so but Ergen’s comments may have us pressing pause on any future T-Mobile/Dish tie-up rumors. *phew* Really good news! I was scared for a while. T-Mobile does have a few months before the sale loophole closes, so they technically could sell out to Dish Network, but I fail to see how that would make them a top competitor against AT&T and Verizon. Dish would be spending billions to acquire T-Mobile, and that leaves them with little capital for the first few years to really expand. Not to mention majority of the spectrum Dish holds is more compatible with Sprint than T-Mobile. Sure there will be a play for Internet, TV and Mobile, but a network sharing with Sprint would mean, capital, large swath of spectrum that more closely aligns and compliments each others needs and desired coverage, and also integrates mobile, TV and internet – the only difference is that Dish will have to sweet talk and likely pay Softbank for major shares, where as the T-Mobile merger Dish will own the whole thing. How is Dish’s band 23 spectrum compatible with sprint’s 25,26, TDD 41? 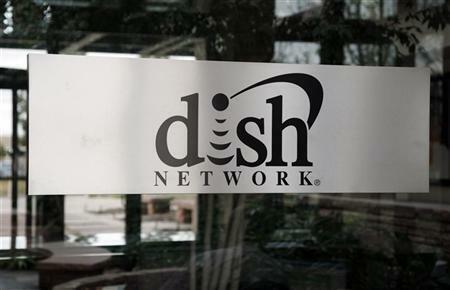 Dish does not have to own shares in the company that hosts its spectrum. The lockup period is 18 months after may 1 and it doesn’t apply if DT finds a buyer for entire stake. The reason why sprint is a better choice is because TMO has 15k towers with still ONLY 2g and no fiber backhaul. TMO map is a sea of 2g with archipelagos of 3G/4g/LTE. He probably means the fact that the uplink for Dish’s spectrum is right next to the H-block spectrum. If they were to delink the spectrum, they could use carrier aggregation to add it to the Sprint’s PCS downlink. Of course, Sprint has no need for that spectrum with their 2.5Ghz spectrum. If Dish could not beat Softbank in price, then do you really believe they will have enough to buy out Softbank’s stake? Softbank is probably going to want a premium that makes their previous offer look like a steal. Son did not buy Sprint to just flip for a small profit. He wants to mimic his game plan from Japan here and steal market share from the big two. He is willing to invest the money and make that happen, and Sprint has the tools(spectrum) to do it. Dish, imo, is playing down Tmobile to not raise the price even higher than it already is. They are probably going to have to pay around 30 dollars a share. If he came out and said that he was interested, then it would be around 40. Tmobile is Dish’s only option if they want to own the network they partner with. Sprint is not for sale. Good. I would leave T-Mobile right away. Dish Network is just a terrible company, just waiting for TV contract to expire go to to Verizon FIOS. I totally and completely disagree. If you’re so eager to defect to Verizon, why not pick up their wireless service too? I’m not having any problems with Dish Network and I have been with them for about 10 years now. While I don’t think T-Mobile should even attempt to merge with Dish I like their service. I would be out of T-mobile the second, and I mean second that Dish and T-mobile joined. I want nothing to do with Dish. Charlie is a cool dude, he is always looking out for the customer. You seem to really want to have a strong opinion about this hookup but have very little reason too, so you passionately decree nonsense. Have you even ever had Dish? I have had Dish, and given he would have to borrow a ton of money that he doesn’t have to buy T-Mobile he would have little money to use for infrastructure improvement, which would most likely mean prices would go up. Also having a opinion based on knowledge and experience doesn’t make me a blowhard. Knowing nothing about it would but in my case I have lots of reason to not want Dish at the help of T-Mobile. Charlie only takes deals where he screws his partners, why do you think no cell company wants to work with him. Charlie and Larry Ellison are two peas in a pod as far as how they treat partners. Apparently, someone still lives in lollypop land.. let us know when they’ve finished their current sing-along.. eh? Its good to hear that. I would hate it if dish would actually do buy out tmobile. I been with tmobile for 8 years and enjoy their services I dont always have lte service in south Carolina but that hspa+42 makes it up for me. There’s always time for improvement after the merger with metropcs is complete I would think tmobile would have a chance to grow and stay on the right track as the un carrier that provides innovation to rock the wireless play ground. Hopefully when T-Mobile releases their financials we get some really good news. Gaining customers and remaining financially strong could make DT (maybe) want to stay the course as we are and give T-Mobile USA the chance it needs to really become a strong and healthy national competitor. They still have a ways to go before they can say and be that. But they seem to be working on the right direction to get there in time. Any positives will be short lived. In 2 years when sprint had LTE TDD everywhere and in high density, TMO’s urban strategy will be destroyed. Sprint will have the bandwidth and money to squeeze TMO on price and/or GBs. For that to happen,it would depend on how fast and properly Sprint can manage their upgrade. If they are able to do it at all. Sprints record for doing things right, or lack of it speaks for itself. Right,T-Mobile upgraded to LTE 156 markets how fast again? Sprint has how many LTE markets? And the started months,months before T-Mobile . How long did it take them to shut down Nextel after completing their upgrade? T-Mobiles hspa+ is faster than most of Sprints LTE. Im just gong by their history on working on their network. I have had Sprint as my provider. I have experienced it first hand. They started around the same time, if we are talking about actually construction. When Tmobile was refarming their spectrum, they were also upgrading the base stations to multi modal base stations. This allowed them to just do a bolt on job for LTE like ATT/Verizon. Nextel shut down took a long time, because Sprint had not gotten approval to use that spectrum for wideband technology until last year. Also they were trying to convert those customers to Sprint brand customers. Tmobile’s HSPA+ has a theoretical max of 42Mbps, and uses 10x10Mhz of spectrum, while Tmobile’s LTE(in most places) and Sprint’s LTE network use 5x5Mhz, which has a theoretical max of 37Mbps. The reason for using LTE is because it is more efficient than HSPA+. History means little when you have new management and owners in place. I am not trying to convince anyone to switch to sprint, but this is not the same Sprint anymore. NV may be taking lower than expected, but once complete it gives Sprint a very strong base to build on. I can understand most of your argument. Not the part about history. History means everything until the new management can actually do the work to change that history. They can just as well take over and not fix a darn thing. So, if they can make Sprint work better and more efficiently, that would be great. The more competition we have the better. But until then, History is all we have to go by, new management or not. It is up to them to change things for the better. Until they do, we can only go by what has happened before. Correction: T-Mobile started their LTE upgrades years before Sprint did, before LTE was even a thing. Call it planning ahead, but T-Mobile was having fiber run to sites when they were turning on HSPA+. And some PCS H+ equipment was online before Sprint had LTE online. T-Mobile just didn’t allow folks on the network until LTE chipset prices came down. Another correction: you aren’t comparing apples to apples between DC-HSPA+ (10×10 MHz) and 5×5 LTE (5×5 MHz). I’ve actually seen the latter outrun the former (35 Mbps vs. 28 Mbps real-world), both when comparing T-Mobile to Sprint and T-Mobile H+ to T-Mobile LTE. In markets where Sprint is built out, its LTE outpaces T-Mobile’s HSPA+, even when H+ is using twice the spectrum. You’re talking a pipe dream here. A wild pipe dream. Sprint has a long history of doing things SLOW. T-Mobile has already passed them in LTE deployment population covered despite their year long head start and totally embarrassing to be passed up by the smallest carrier. LTE launches keep getting delayed and pushed back. Their 3G network is still just as slow as T-Mobile’s 2G/Edge network in many areas. The LTE TDD dream that Sprint fans keep talking about might not appear until 2018 based on how slow Sprint is with everything. I’ll believe all that hype of LTE TDD when I see action and for the past decade I have seen no action from Sprint. They still don’t even have a properly working 3G network. TD-LTE is going to be a bolt on job, like ATT/VZ’ lte network was. also Sprint’s upgrades are not very slow, when you put into consideration that they are upgrading their backhaul and base stations to be future proof. They are upgrading their 3G network. While Maximus is certainly over-optimistic (which is weird…he’s been a bit of a troll over at S4GRU), there’s a little bit of truth to what he says, and naysayers about Sprint are a bit out of date. Case in point: TD-LTE. Sprint already has TD networks live in Denver, Chicago, LA and a few other markets. Hotspot-only for now, but phone will be coming soon enough. The TD overlay will happen quite quickly…I wouldn’t be surprised if it was substantially done two years from now…and speeds will be comparable to, or better than, T-Mobile’s 10×10 FD-LTE. Don’t think I’m ragging on T-Mobile; where they have 10×10 LTE it absolutely flies on my Nexus 4. But in some areas they’ll end up needing smaller cell sizes than Sprint, despite having better propagation characteristics, because they’ll run out of spectrum. When you add TD into the mix (which will hit 99+% of current towers, plus a few more), Sprint won’t. So glad to hear that. Stay away Dish!! I’m betting once there Fins come out these merger talks will end. T-Mob has the ability to stand on it’s own two feet. I’m betting Deutsche Telecom will pull a way and see a position here. Looks like PR Spin by Charlie. State the opposite of what you want and hopefully by doing so you get a better price when you try to acquire them. Especially with the slap in the face statement like “I like people that are better than us”. In essence he is saying that T-Mobile is not better than Dish. That’s just a daft remark. Sorry, but it’s true. He is merely stating that they lost out on the bid, Softbank had a better offer and did a better job with their proposal. Hence, they did a “smarter” job. Now he’s saying that going after the larger fish of the two and acquiring the talent that outbid his “rock-jock” team of mergers and acquisitions might be a good opportunity. Haven’t you ever read a single book on management? Always raise the bar. Always hire people that are smarter than you are. If he could not acquire it when he was battling Softbank, because he was outbid, then what makes you think he can make a bid that would have Softbank change its mind about jumping into the US market? He can’t. Softbank is not going to sell sprint for a little to no profit. They would rather invest and let it grow. Softbank would probably demand double the price they paid for the company if they were to jump out now. Son bought Sprint to implement his plan to battle the duopoly. He will not get another chance. No other market is like the US market and nor is either another carrier like Sprint with the assets that they have. Other is probably correct. Dish is trying to spin it to stop the price of TMUS to continue to rise. Remember, TMUS started around 17 dollars and now is currently around 24. I believe the earning call will boost that price up another couple dollars if the rumors/reports are correct. Dish might have to pay around 30 dollars a share to buy TMUS. If Ergen said they were going to buy TMUS, then it would likely be a per share price of 40 dollars. If Dish couldn’t actually show how is was going to buy Sprint, how in the hell is he going to pay $40 a share? No its more realistic to assume Dish has been out priced to buy anyone in the top 4. His only options are small regional carriers, and Leap is no longer a choice. He is being bombastic to try and get better hosting, for the AWS he needs to deploy or get penalized, rates most likely. Why would it have to pay 40 dollars a share? TMUS is trading around 25 dollars. 30 dollar offer probably gets it done. They have the ability to make a cash/stock offer for the new company. Also TMUS market cap currently is around 18 billion. Their Sprint offer was around 25.5 billion. They can still buy TMUS, plus they really only need to buy DT’s share of the company which is 74%. DT should acquire what is left of US Cellular. They have been divesting and selling spectrum as it is. They could gain lots of PCS and AWS spectrum. I hope this could work as they would gain alot of spectrum in WI :] They need to grab them as they are the only player left before Dish grabs them. I dont see at&t being forced to divest much spectrum from leap other than in a few select markets. Lets just see what happens. USCC doesn’t actually have that much spectrum, and converting their footprint (CDMA + LTE) to T-Mobile’s would be a harder thing to do vs. MetroPCS. Mainly because T-Mobile would absolutely have to support 700MHz and cellular LTE, since otherwise there’s no way they’d be able to keep USCC’s coverage footprint. Also, I rather and I think pretty much the rest of us for Tmobile to not waste money buying another company and save it for buying nation wide 600mhz even if it ends up being 5×5 it will still upend the top two. And if they roll that out at the end they are with LTE then it will be a hit. Ya, either 5×5 or 10MHz TD in 600 would benefit them more than buying USCC. You don’t need a ton of bandwidth to make rural stuff at least viable. 5×5+ In rural markets, 10×10+ in Metro areas for building penetration/ better four bar coverage. The way to go. Everyone on this site needs to write there senators/FCC supporting the Limit on Verizon/ATT. We don’t yet know if 600MHz will even be viable, until after the reverse auction. If no one sells that back to the government, its going to be DOA. I read some discussions about that band on s4gru and it sounds like this auction may be dead as their is nowhere for the TV broadcasters that use this band to go. Not to even mention the fight Qualcomm and Verizon/AT&T are putting up to make sure this band is FDD, rather than TDD. As FDD would mean less spectrum due to guard bands and power broadcast limits. Even if the auction went well the soonest it would help a carrier would be post 2017.